When we think of Ethiopia we tend to think in cliches: Solomon and the Queen of Sheba, the Falasha Jews, the epic reign of Emperor Haile Selassie, the Communist Revolution, famine and civil war. Among the countries of Africa it has a high profile yet is poorly known. How- ever all cliches contain within them a kernel of truth, and occlude much more. Today’s Ethiopia (and its painfully liberated sister state of Eritrea) are largely obscured by these mythical views and a secondary literature that is partial or propagandist. Moreover there have been few attempts to offer readers a comprehensive overview of the country’s recent history, politics and culture that goes beyond the usual guidebook fare. 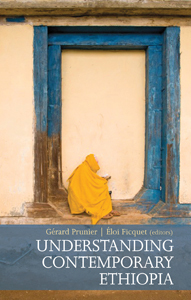 Understanding Contemporary Ethiopia seeks to do just that, presenting a measured, detailed and systematic analysis of the main features of this unique country, now building on the foundations of a magical and tumultuous past as it struggles to emerge in the modern world on its own terms.